Died: 24th April 1915; age 37; KiA by shell. Date of Entry Therein: 11th March 1915 – France. 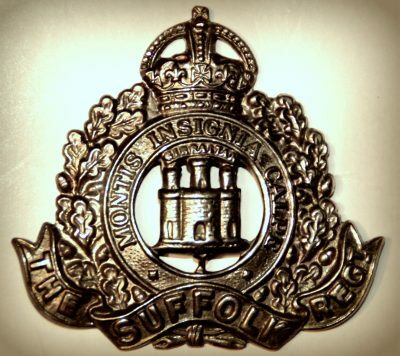 Regiment: Suffolk Regiment, 1st Battalion. Medals Awarded: Victory, British War & the 1914 – 1915 Star. Willie was 3 years old and living with his parents, siblings & step sister. John Knights Bales, 27, born Ipswich. Lucy Bales (nee Minns), 27, born East Bergholt, Suffolk. Florence Matilda Minns, 10, born Barham, Suffolk. Frederick James Bales, 5, born Ipswich. Henry Charles Bales, 3 months, born Ipswich. 1891 12, Back Hamlet, Ipswich. Willie was 13 years old and living with his parents, siblings & step sister. John, 37, a Gas House Labourer. Lucy, 37, a Stay Fanner. Florence, 19, a Stay Fanner. Lily Maud Bales, 6, Born Ipswich. Caroline Milly Bales, 5, born Ipswich. Beatrice Annie Bales, 4, born Ipswich. 1911 31, White Elm Street, Ipswich. Willie was 33 years old, a Share Moulder. He was married and Head of the Household. Mabel Bales, December 1907, Ipswich. Frederick Horace Ernest Bales, born 1910, Ipswich. Soldiers’ Effects to Beatrice Bales – widow. Willie is also remembered on the Orwell Works memorial Ransomes Sims & Jefferies, and at Holy Trinity Church Ipswich.